The Team CoreCo revised, revamped, reengineered website is now LIVE. Please take the time to review the content, and send us comments regarding your impression of the site and any suggestions you might have. If you are a native Spanish speaker, we welcome your input on our Spanish language content (especially word choice and grammar corrections...Google Translate only goes so far!). 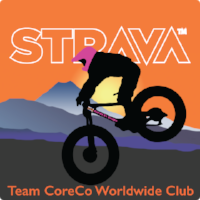 Many thanks to our team members, our fans, our sponsors, and our supporters for all the help in getting this new chapter of Team CoreCo's ever-improving communication strategy launched. Woohoo!! !